For this contemporary new build on the isle of Arran, the design driver was to maximise the sea views for our clients. They wanted to feel connected to the seascape and to see the ever changing picture while they went about their everyday living. We therefore agreed that the main living spaces should be on the first floor with the bedrooms on the lower floor. This allowed us great design freedom when designing the open plan spaces of the first floor. We were able to minimise circulation space and create a flowing, open-plan living space with generous dining and kitchen areas all working together. The living space also opens onto a covered veranda where one can relax or dine. This plan allowed us to create generous bedroom spaces on the floor below. We met with our clients to develop the aesthetic of their project. Their brief was for a Cape Cod style house. This was initially a challenge as Cape Cod houses traditionally do not have their living accommodation on the first floor. We created a covered veranda on the first floor which allowed us to include columns in the Cape Cod style on the sea elevation. 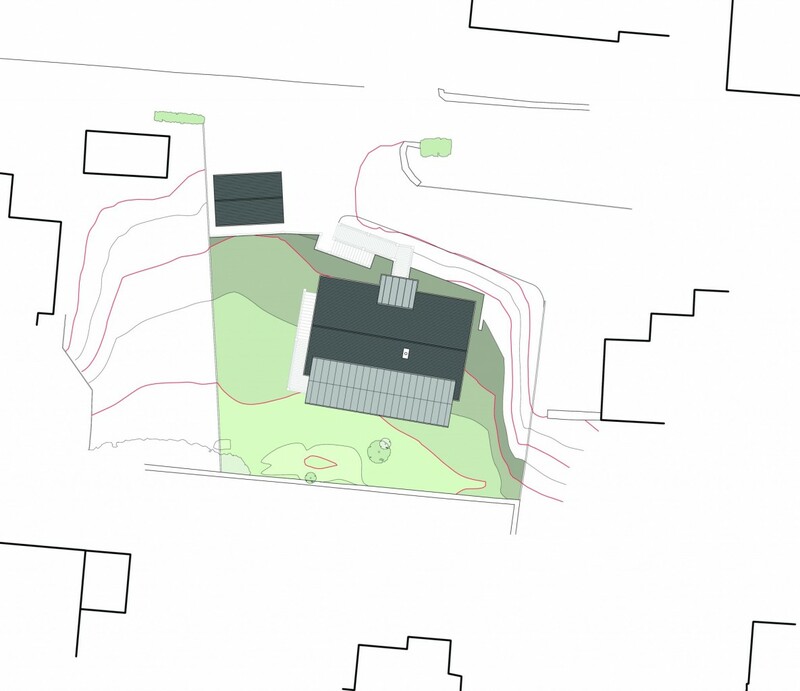 We also decided that a two storey house was not typical in this location and decided to make use of the sloping site so that the entrance elevation could be single storey. This approach appealed to the planning department’s objectives for the area and is in line with the sensitive approach to buildings which we follow as a practice. 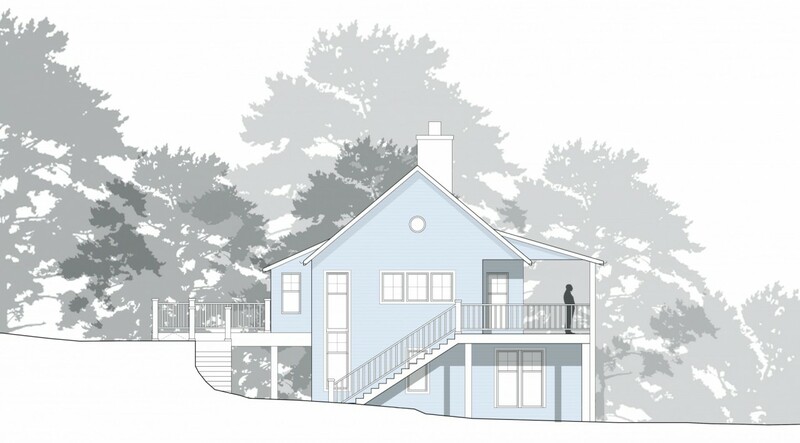 A light grey timber cladding was proposed for the exterior finish which gives the house its western seaboard aesthetic. The house is due to go on site this summer. The adapted New England style fits well with the contemporary Scottish homes, built on a traditional model, on the island.